With a new Corvette being revealed at the Detroit auto show, here are past 'Vettes that are the most valuable today. 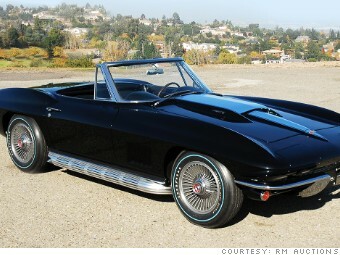 The 1967 L-88 is considered the best of the second generation Corvettes, according to Hagerty. Among these so-called "mid-year" Corvettes, the very best were the 20 L-88's built that year with an engine officially rated at 430 horsepower. Its real output was actually more than that.